So, I wouldn’t buy these in a million years. Not even if I happened to have a spare $1,395 burning a hole in my wallet. For one, they’re peep toe boots, and you all know how I feel about that. And for two… I don’t really need to give another reason, do I? 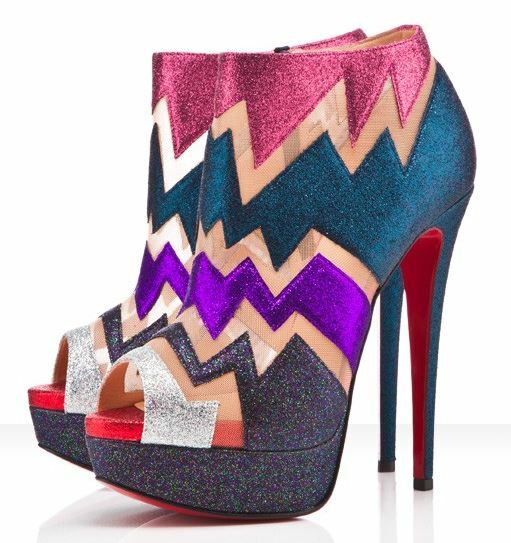 Sometimes, however, our Friday Fix isn’t necessarily the most beautiful pair of Louboutins I could find, but simply the most unusual: or, in this case, the loudest. These are called “Ziggy” – I can totally see why – and they’re currently out of stock, but you can click here to see them anyway. Oh, I sooooo like them !!!!! I’m definitely a fashion criminal, cause I like peep-toe boots. Not the all of them, obviously, but the shoe-boot type… These are, well… interesting? I would hate them, if there wouldn’t be any glitter, but there is, so I am a fan. I don’t like peep toe boots either… but if they were closed I think I would have liked these ones – not that I would buy them, no no! Wrong. Wrong. Wrong. That is all. I hear you but, on a positive I LOVE the colours! Now if there were a matching handbag?!? If it was a shoe instead of a boot, I might like them more. 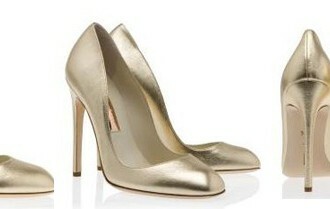 We all know I love Mr Louboutin but he’s gone a bit silly with these. Dita von Teese will probably love them.